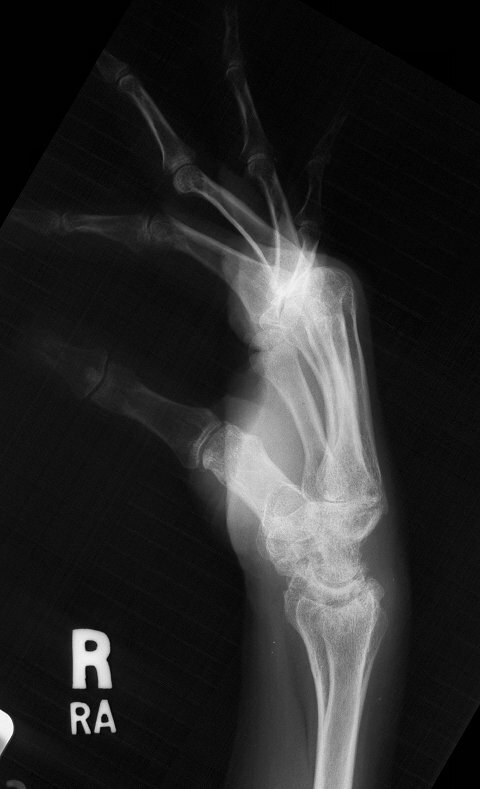 Note the spontaneous radiolunate fusion. 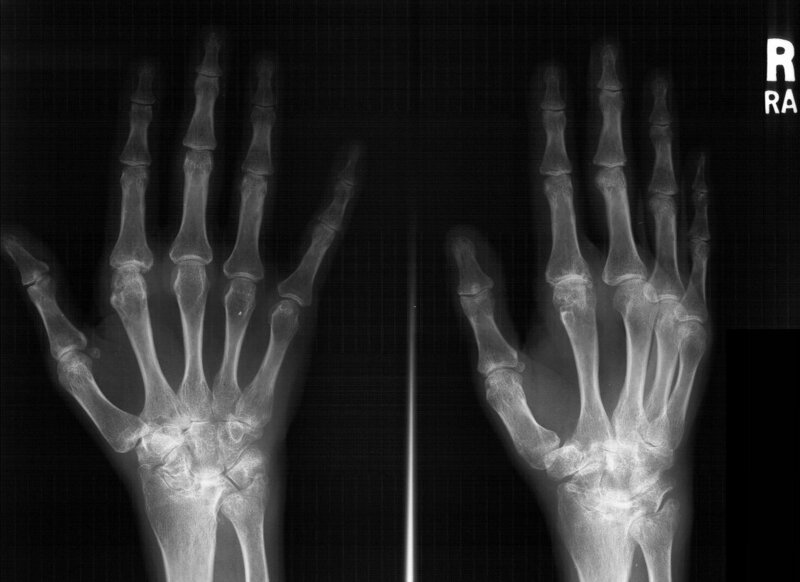 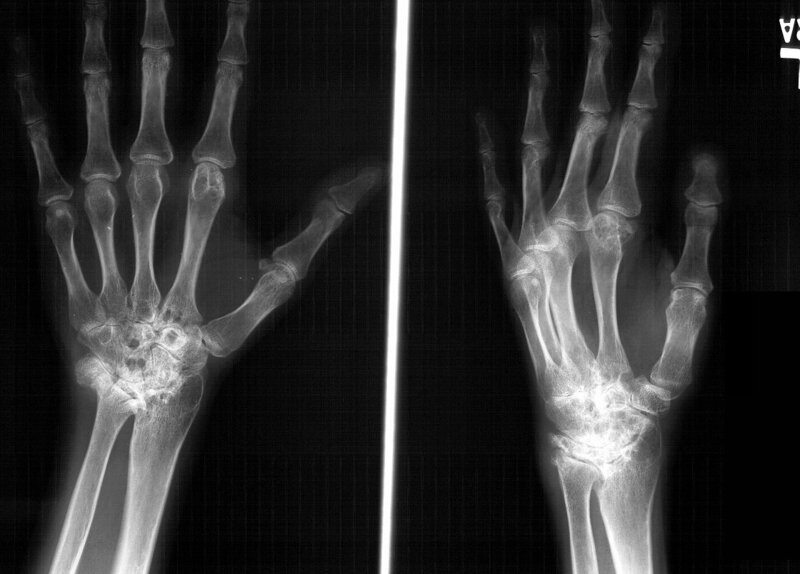 The radiolunate joint did not spontaneously fuse on this side, allowing a greater degree of ulnar translation of the carpus. 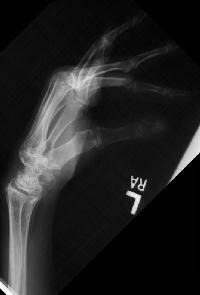 Note the severe cystic carpal changes.